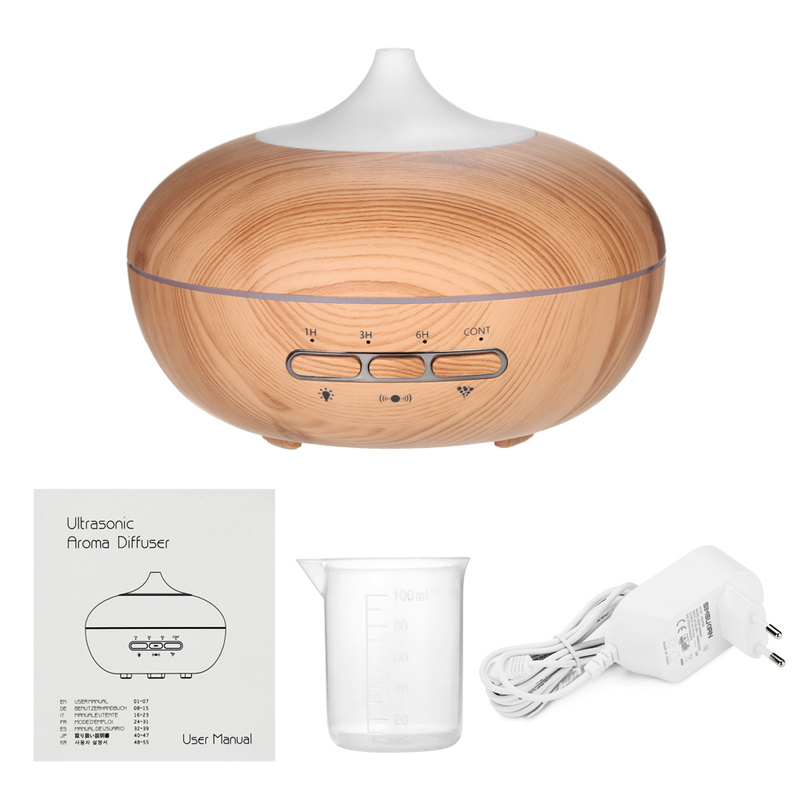 This Ultrasonic Aroma Diffuser adopts ultrasonic atomizing technology to create the ultra-fine aromatherapy mist quietly. 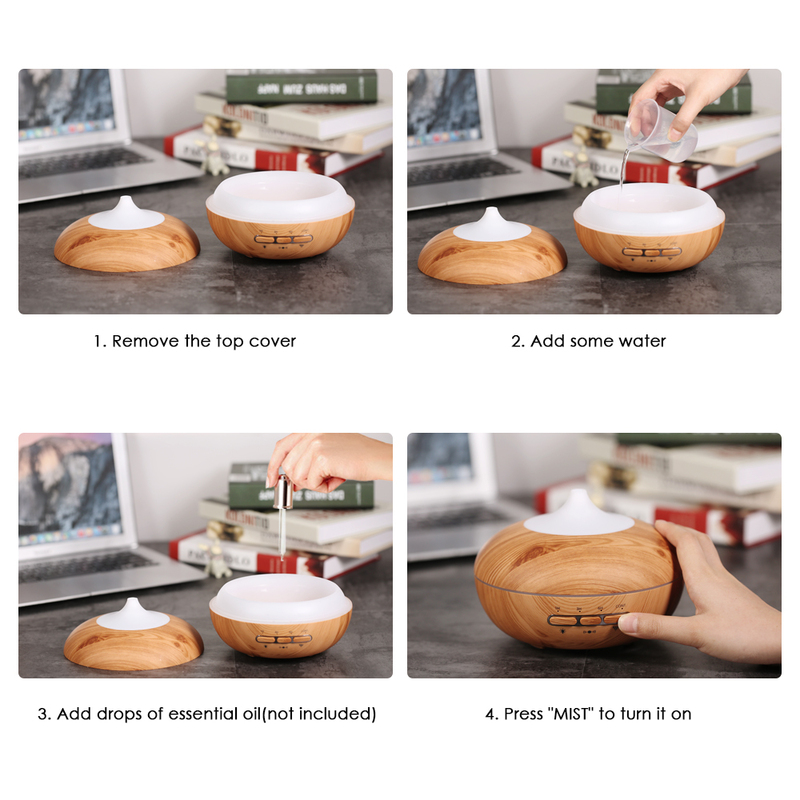 Compared with traditional aroma diffuser, it features unique microwave automatic induction function(press middle button to switch on) which means that the product will turn on/off the mist automatically according to human motions. Besides, the LED light with 7 colors creates romantic atmosphere which helps you escape the hustle and bustle of modern life. 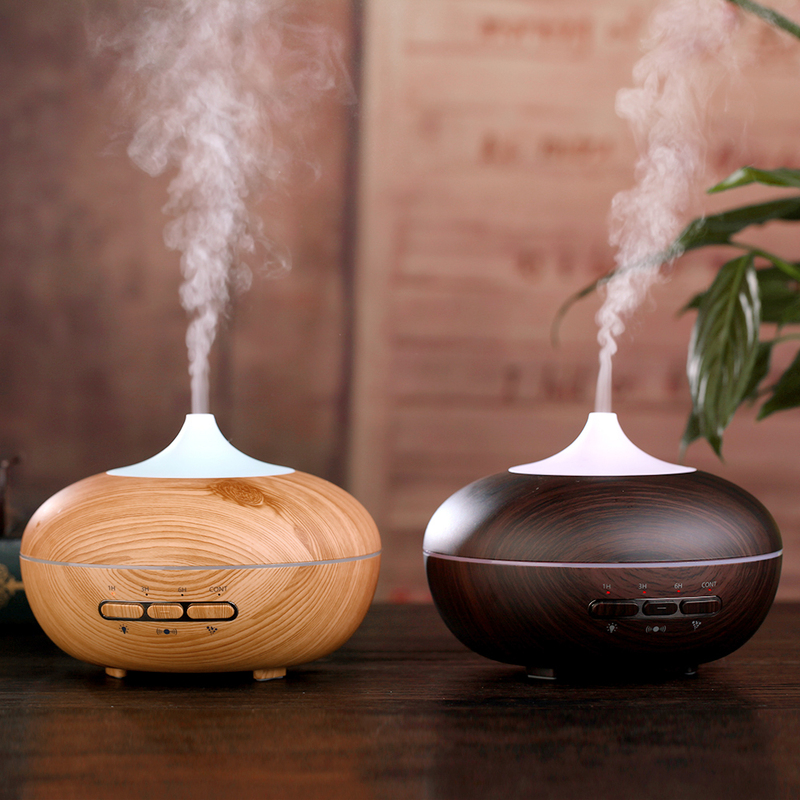 Just add some water and a few drops of your favorite essential oil(not included) then enjoy your casual time. 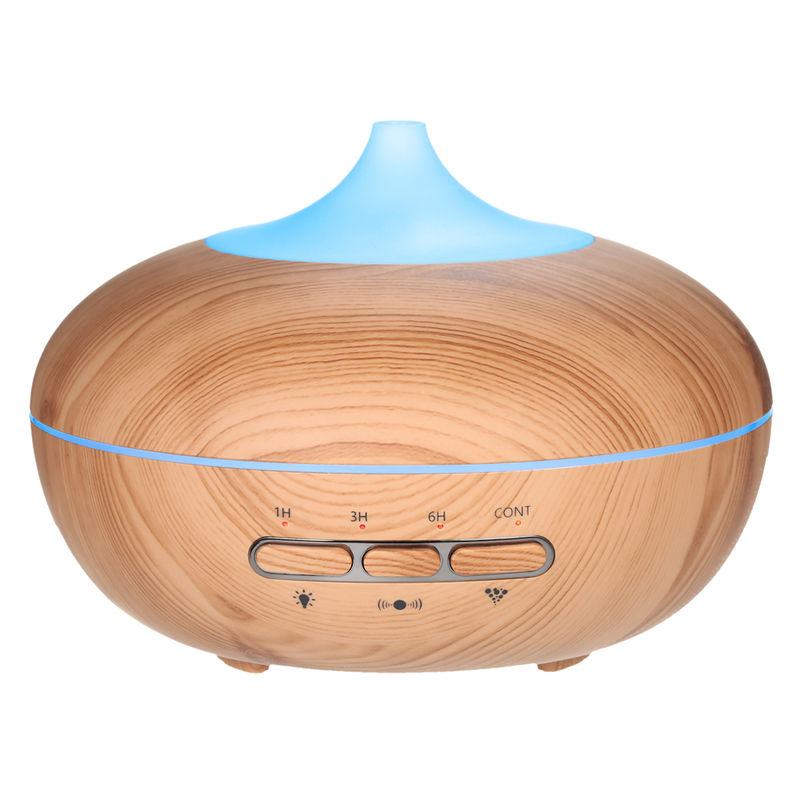 5 in 1 Functions: aroma diffuser, humidifier, air purifier, ionizer, night light. Innovative Microwave Induction Function: automatically turn on/off mist according to human motions. 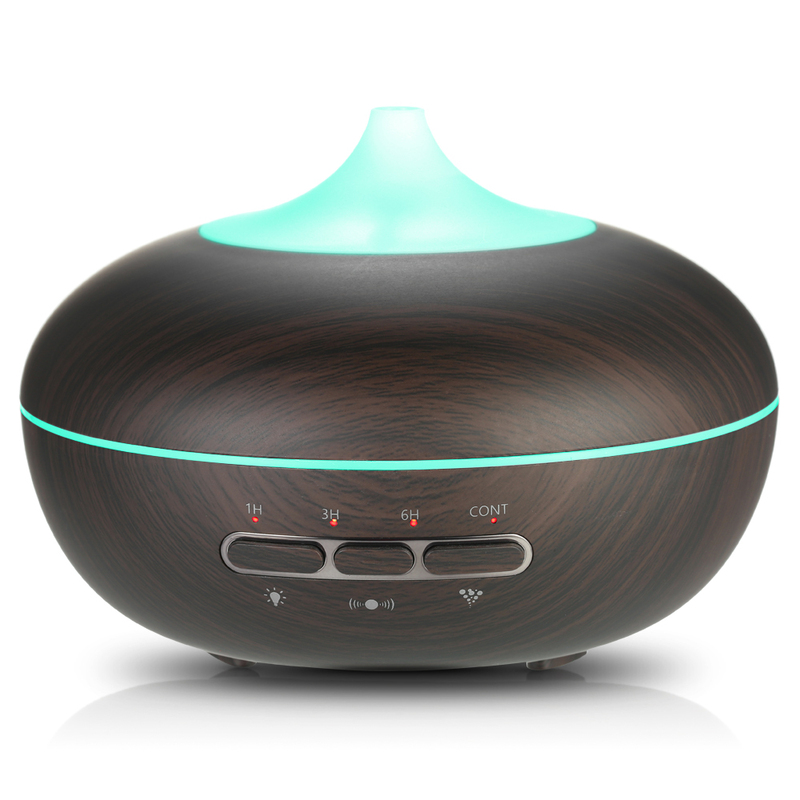 Ultrasonic Diffusing Technology: remove unfavorable odors and moisturize your skin. 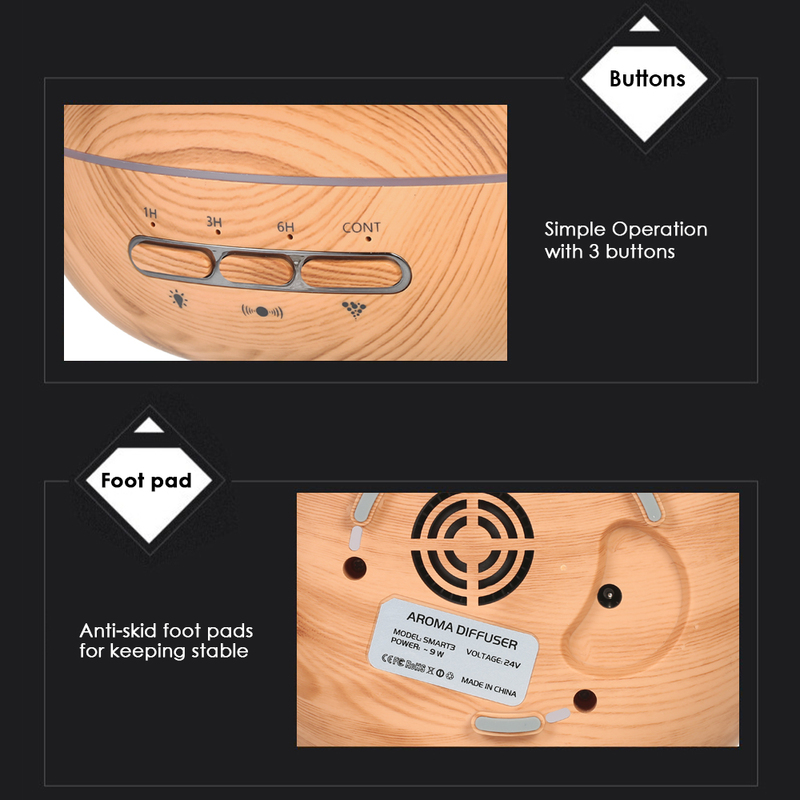 Simple and Convenient: compact and portable design, easy to take off the cover. Four Timer Settings: 1 hour/3 hours/6 hours/continuous working. Auto Shut-off Function: when the water is used up, safe and reliable. 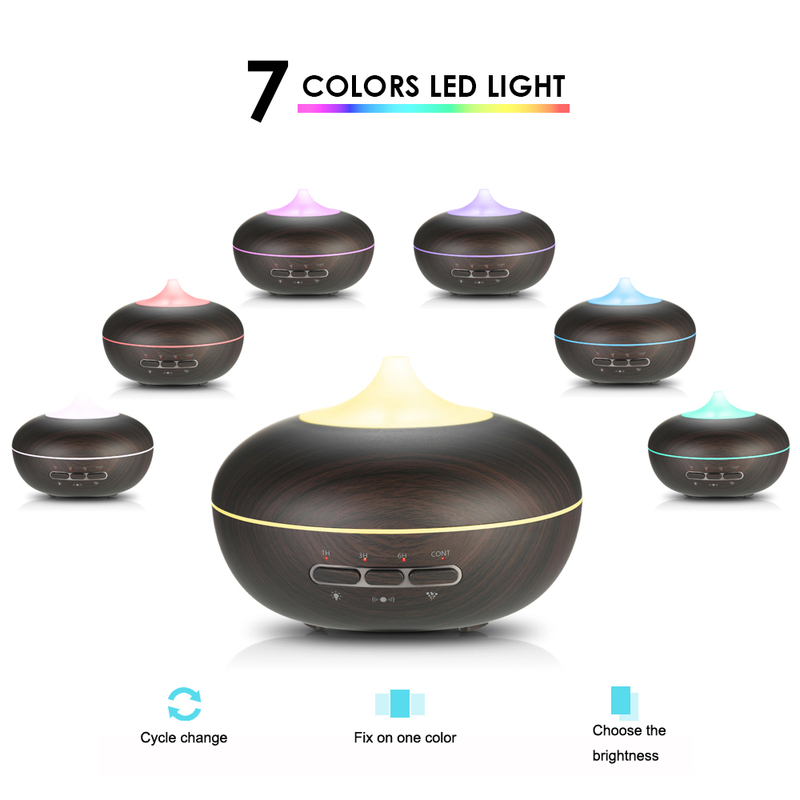 7 Colors LED Light: gradually change/fixed color modes, each color is adjustable between bright and dim. Low Power Consumption and Low Noise: great for working or sleeping. 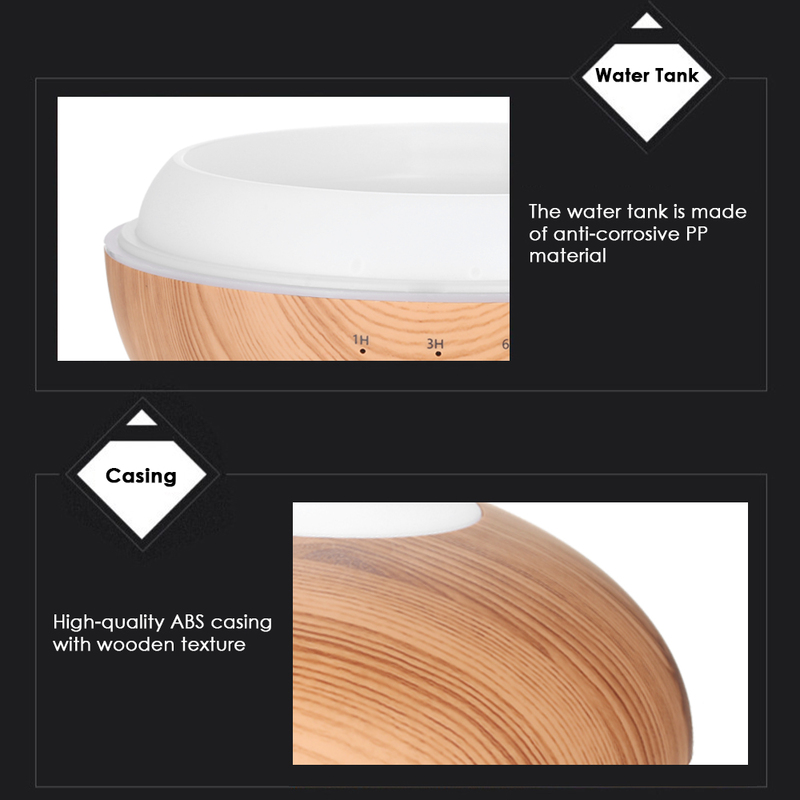 Wide Applications: suitable for use at bedroom, study, office, living room, bathroom, yoga room, SPA shop, hotel, etc. MIST Button: Press to switch on and choose the timer from 1H/3H/6H/CONT; long press it if you need to turn off directly. LIGHT Button: Press "LIGHT" to turn on the LED light, the color will change automatically; short press it again to fix the color you want, you can choose the brightness of the light: bright or dim; long press to turn off the light directly. AUTO Button: Press to switch on/off microwave induction function; long press to adjust the mist spray quantity. 1. Do not add too much water(Max. 300ml) into the humidifier. 2. The LED light will not be controlled by the microwave induction mode.